LINDSAY is a development professional with more than 10 years of working in education and the arts. She is also a freelance dialect with more than 12 years of dialect, voice and monologue coach based in Chicago. Lindsay received her BA from DePauw University in Greencastle, Indiana. She is currently pursuing her CFRE from North Park University and hopes to get her masters in Education Administration or Nonprofit Administration soon. Lindsay has worked at a wide variety of development institutions like the University of Chicago, Josephinum Academy of the Sacred Heart and Girls Inc. of Chicago. She also was the owner, operator and Artistic Director of 20% Theatre Company, an all feminist theatre company in Chicago. 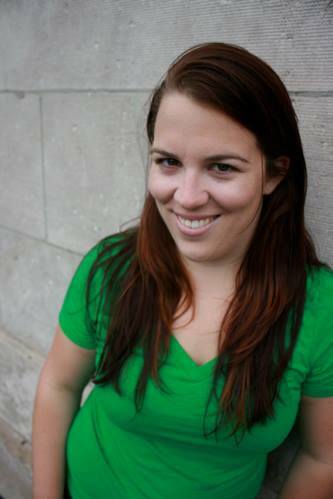 Lindsay is from Grand Rapids, Michigan and now lives in the Ravenswood neighborhood of Chicago. She is married and she and her husband have one rescue pitbull named Remy.